Today is the official holiday that Americans observe every year to honor all the men and women who served in the United States Armed Forces. The date coincides with other memorial days, including Armistice Day and Remembrance Day, which are celebrated in other parts of the world to mark the anniversary of the end of the First World War. The major hostilities of World War One were formally ended at the 11th hour of the 11th day of the 11th month of 1918, when the Armistice with Germany went into effect. The United States originally observed Armistice Day; the name was altered to the current Veterans Day holiday in 1954. Today is a day to give thanks to God for everyone who has served our nation . . . but it is not Thanksgiving Day. Today is a day to celebrate the freedom their commitment and sacrifice provided to us . . . but it is not Independence Day. 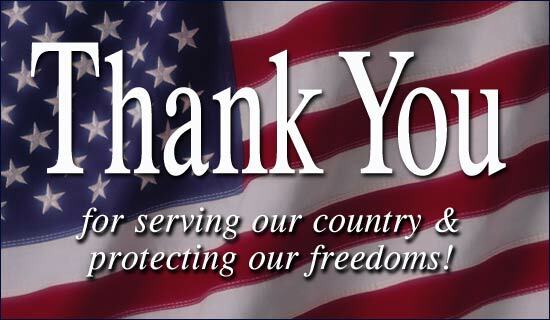 Today is Veterans Day, a day to pause and offer God a prayer of thanksgiving for the freedom we have been given. We live in the greatest nation in the world, but we must never forget that the freedom we enjoy isn’t free. It has been given to us at great cost, a cost for which all veterans paid some . . . and some veterans paid all. This past weekend we played a special video tribute at Cross Community Church to honor all of our veterans. Far too many churches today seem to have forgotten those brave men and women who served our nation to protect our freedoms, including our religious liberty. We worship each week under the banner of freedom their great sacrifice provided. Since we planted The Cross in 2012, we make time every year to honor the men and women who served and are serving in our Armed Forces. Every time we do, families come up after the service to say thank you. Many come with tears in their eyes, and some of those who come do not even have a family member who is a veteran. So to all of you veterans who are reading this today . . . THANK YOU! Thank you for your commitment to answer the call. Thank you for your willingness to leave your family and friends behind to serve us. Thank you for your faithfulness to stand a post for all of us. Thank you for your bravery and courage to face our enemies on behalf of us. Thank you for being a true superhero—not because you have some kind of supernatural power that makes you faster than a speeding bullet, more powerful than a locomotive, or able to leap tall buildings in a single bound. No, those are the qualities of the cartoon character Superman, who could not ultimately be overcome by the enemies he faced. But for you, your “super” in hero is found in the fact that you could be overcome. You could be hurt. You could be wounded. You could be captured. You could be scarred for life. You could die. And yet you faced the enemy with no guarantee of the final outcome. You stood up for all those who could not stand up for themselves—even for those who would not—and for that, I say thank you and God bless you!